Riding around Taiwan was one of the most amazing experiences of my life. It was hard and challenging. At the end of the trip I had cycled 1,230km over the 15 days. It was great to be home and to catch up with everyone again. It was also great to be able to rest my legs and not really do much for the next few days. I did need to clean my clothes and unpack. The final route is shown below. Overall it was a wonderful experience. Everyone thought going alone would be dangerous but at the end of the day it was fine. People were so friendly all the way around the island, hotels were easy to find and overall, the views were spectacular. I got really lucky on the weather with only one rainy day to contend with but overall it was an incredible experience and as I have been writing these blog posts my heart is yearning to be on the road with my bike heading down one of the highways into the hinter lands of Taiwan. Taiwan is beautiful and especially the South East Coast from the moment you hit the East Coast. It is so desolate and isolated. I have over the years met many people in Taiwan who ride bikes and always want to ride around the Island. I know I wanted to do it for a few years now. The first person I knew who made an attempt got as far as Keelung, fell off the bike and popped his knee. I am happy to have done it and would encourage people who love to ride, to get on their bikes and go. It is an incredible, once in a life time experience. So GO GO GO! The first tip would be not to go into any of the large cities. If I do this ride again I would definitely not ride into towns like Hsinchu or Taichung. I would blast past them and find smaller hotels on the side of the road in smaller, nondescript towns. It just makes it easier the next morning on the start and saves time having to backtrack from where you left off the day before. Similarly, I would not stay in Hualien, I would stay in Xincheng, which is just before the Suhua Highway. This will allow early assault on the Suhua highway the next morning and make riding through most of the tunnels easier and with less traffic. I also think riding down the west coast first is better. This way you are riding next to the coast and when you are on the east coast you are next to the sea which makes the views even more spectacular. It is worth riding next to the coast, especially along the Suhua highway, as the views are definitely more spectacular this way. This is a question everyone needs to answer for themselves. It is a personal choice each of us needs to make. My personal opinion is that it is fine (safer than other parts of the road) however it is still dangerous so if the correct precautions are taken (especially through the tunnels) and giving respect to the other vehicles on the road is important. For my part, I think it is something every person needs to do if they are riding around the island or else it really isn't a proper circumnavigation. The road is tough, you have to be cautious but, for the most part, it is fine. You can easily find hotels in most locations along the route. The smaller the town the cheaper the small hotels are. Some other riders I met had pre-booked hotels. I personally don't think this is a good idea as it restricts your ability to make decisions on the day. For example, if the weather turns bad and your progress is much slower than you thought it would be, you might not make it there during daylight and may spend up until 11:00pm riding to get to your hotel (it happened to a couple I met). Most hotels I stayed in were clean and comfortable and I cannot complain too much about them. I made the decision to ride alone so I could have the freedom to do what I wanted when I wanted. But it gets lonely and if you get into trouble then it becomes a little more complicated. That said, there is a fair number of people riding around Taiwan at anytime and always possible to ride with some people for short periods of time. I chose to do it alone because most of my friends who ride were busy and also I wanted to be free. The disadvantage of riding alone is that it can get pretty lonely out there on the road and also at dinner at night it can get a bit boring not have anybody to chat with. Of course, riding alone gives you the flexibility to ride at your own pace and also stop and start as you please so at the end of the day it is your choice and what you prefer. Waterproof bags for the bike, lots of lights on the back (especially for the tunnels on Suhua), a spare tire and tire changing kit (just in case) and of course a GPS if possible. I would also recommend road bike tires or cyclo-cross tires as the mountain bike tires just slow you down. I switched out my tires in Kaohsiung and the riding became a little bit easier after that. This was one of the greatest experiences for me in a long time. The hard grind of the road and the regularity of the schedule was awesome. I hope to do more touring another time. The touring was amazing and I loved every moment of it. I loved the whole trip. I would recommend you try and ride. Taiwan is a great place to ride, and you will be amazed! Paul, what a great series, and a great accomplishment! thanks for bringing us the daily installments. hope i have the opportunity to ride a few KM with you someday. Hi MJ - thanks for your kind comments on the blog - it was as much fun writing as it was riding - brought back some of the great memories. Thank you for reading, your comments and your encouragement. Would be great to ride somewhere with you one day. Thanks Andrew - I appreciated all your support and encouragement and tips throughout my ride. Great work Paul riding around the island. Reading of your adventures has me very much missing home there and wanting to ride around the island, but with some mountain crossings when back later this year. Thanks for reading and taking the time to comment. Yes Taiwan is a special place to ride. I need to do some mountain crossings next too - but mountains always hurt - enjoy the rest of your trip and travel back safely. Thanks Boyd - appreciate your comment and the time you took to read the blog - hope you are well. Your decisions to take the Suhua section by bike turned out to be the right one. It wouldn't be complete without doing that section. Your accomplishment was indeed fantastic. Do you have a link to a Google map of your route or a GPS file I can use? I'd like to have it to plan a route. Yeah, it's just down one side and up the other, but still. Hi Peter - thanks for reading and taking the time to comment. There are links in the post to individual GPS maps of the route I took but I do not have a single GPS file for the whole trip. If you can, make do with the GPS maps of the individual days. And yes, Riding Suhua was awesome. Hi Steven - thanks so much for reading my blog and taking the time to comment as well as taking the time to provide a link to the post on your site. I was lucky - I finally had both the time and the money to ride - it was well worth it. Thanks again and I will be following your blog too. This is what I'm looking for! Thanks for the great post! That's really nice to read you Paul! I'm preparing a similar trip around Taiwan, your blog help a lot! As I'm not on the island now I looking for more and more information. What period of the year did you travel? When is it more suitable? Do you know if there are ways to avoid the Suhua tunnels (bus, train) but still go over? 2) I think Spring (March to Early May) and Autumn (late September to end of November) is the best - otherwise it is too hot or too cold and miserable. Also, summer has increased chances of Typhoons. 3) You can avoid Suhua highway by taking the train from Hualien to Suao but you will go under the mountains, not along the highway. I guess you could ship your bike by Train to Suao (QED) and then see if there is a bus from Hualien to Suao that you can take (not sure there is though). Once again, thanks for reading my blog. If you have any further questions please send me an email at durbanbay(at)gmail.com - I will be happy to answer all your questions. hi paul, thanks for taking the time to put this info on the web. very useful and interesting! 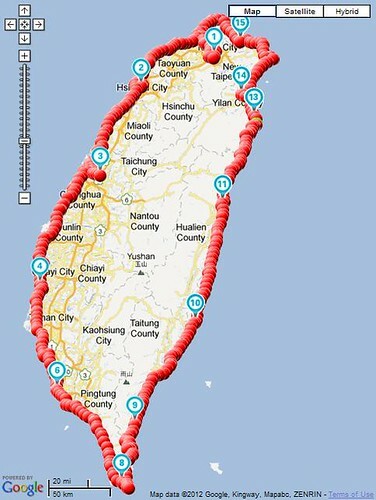 i am planning to cycle around taiwan in march. but i only have 15days in taiwan. i hope to complete the trip in just 7 or 8 days so i still have some time to explore taipei. do you think it is possible? how many hours of cycling did you do each day? Hi Todd, sorry for the delayed reply. I am traveling right now :). Glad you found the posts informative. I think you can do the trip in 9 days. I know most Taiwanese people do that as they do two weekends and the week in between. On average I rode around 8 or 9 hours a day but I took lots of breaks to take pictures and videos etc. To do 9 days you will need to ride a little further each day. Also, do not ride into the towns like Hsinchu and Taichung. Just stay on the coastal road. You will save some time and some distance doing that. But 9 days is possible. Also, just make sure Suhua highway is open. If it is closed you will need to take the train from Hualien to Suao. If Suhua highway is open, sleep in Xinchiang the night before, not Hualien, will help you get further the next day and make it safer when you leave earlier the next day. Dear Paul, enjoyed your write up. My son and I are coming to Taiwan in November (I have goof friends in Taipei) and we plan to ride from Taipei to Hualien averaging only 70-80 kms a day. We want to enjoy the scenery and culture and even though we could do 100 km plus it's a holiday. As non Chinese speakers do you think we will have problems finding hotels and generally making do? This will be my 4th trip to Taiwan but I have always had a friend with me when we travelled out of Taipei. Also would you recommend the coast road or Rift Valley to Hualien. Lastly, it's was great to see a South African wearing yellow at the Tour - and in an Aussie team. Cheers mate!! 1) I think you should be fine finding hotels. What I would suggest though is to get a friend to write a note in Chinese saying "I am looking for a hotel" so that if you cannot find someone to speak English you can just give that piece of paper to someone and then they can help you. But generally, I think you should be fine. There always seems to be someone around who speaks English and when on the road you will most likely bump into many cyclists too, most of whom can speak some English. 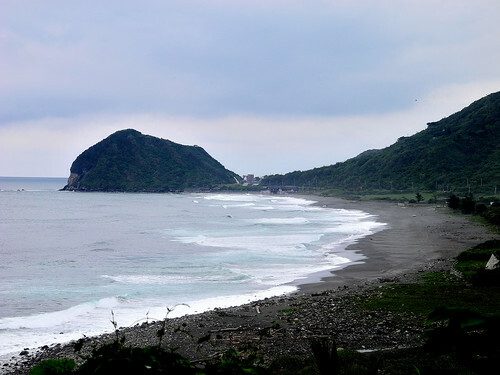 2) Well from Taipei to Hualien there is only the Coastal Road. 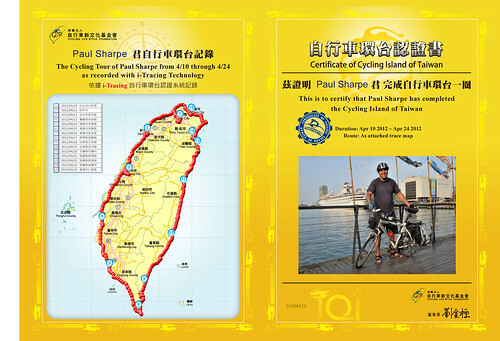 You would ride from Taipei to Tamsui or Keelung and then head South. You would need to ride over the Suhua highway which is considered by many to be dangerous as there are many tunnels on the highway closer to Hualien. The East Rift Valley runs from Hualien to Taidong. If you are interested in the Rift Valley, a very beautiful ride is to cycle from Hualient to Taidong through the rift valley and then come up along the coast from Taidong to Hualien (so you do a small loop). It is easy to ship bikes to anywhere in Taiwan on the train. As for a South African in a yellow at the Tour - ha ha ha - but at least we have one bloke representing us. If you are in Taipei for a day or more feel free to contact me and maybe we can meet, have a dinner and chat about routes and stuff. Good luck and if you have any other questions please do let me know. Thanks Paul. I should have been a little clearer, yes we a planning to ride first down the west coast and up the east coast to Hualien. I am going to be in Taiwan for a month so it would be great to get together for dinner and/or a beer. Reading stories about the Suhua highway does scare me a bit. My plan is to ride from Taipei (Xihji) to Kaohsiung over 5 days or so by myself, then return to Taipei to hook up with my son (who has uni exams and is coming later) then after a few days take the HSR to Kaohsiung where we will restart the journey to Hualien. Thanks for your advice, I really am grateful. I guess you are hoping Chris Froome can hold onto the maillot juene for another week and a half. He is definitely the strongest rider in the Tour, the question is does his team have the strength to support him. Cheers from a very cold Canberra. In that case it depends on what you prefer - mountain and river valleys or scenic coastal area - both are brilliant. For myself, when I was going around the island I toyed with the idea of the Rift Valley but then decided a true circumnavigation meant going around the coast so I went back to do it later. Both are beautiful. You can see my posts on both riding up the coast and also riding through the rift valley. Both are beautiful. If pushed for a recommendation though, I would recommend the Rift Valley since you will see a lot of scenic coastal areas before Taidong and also back up to Taipei. Don't worry about Suhua - follow the advice I give in my posts and you will be fine. Rule 1 - stay in Xincheng so you can leave at 5:30 am and be through most of the tunnels before the traffic can get there. Rule 2 - check behind you to make sure that when you go through the tunnels thee are no vehicles coming behind you. Rule 3 - when trucks, buses and cars come behind you, don't panic and hold your line. They are not trying to hit you. If you are an experienced cyclist you will do well. Dinner and beers can do :) and yes I hope Froome can hold on. I thought he should have (could have) won last year but he had to help Bradley. It was poor form for Bradley not to be there this year to support him. I wonder if he really is injured. Froome is a great rider, I just hope his team can pull him through. Cheers if you have any further questions let me now. I am happy to answer them. Hi Paul. Having read your posts I agree that the Rift Valley is the pick. Thanks for all your advice. I arrive on 9 November so maybe we can meet up. Both myself and my son are reasonably experienced. I have done Audax riding and touring and Kenny raced competitively as a junior. Maybe I'll bring you a local cycling jersey. Froome is looking good. I just hope his team including Richie Porte can support him. My email address is malcolm.cook0@gmail.com. Great - I am glad the information was useful. I am sure you guys will be fine riding Suhua highway then. When you get here lets have a meal, a beer and a chat and I can give you some pointers on what I did. But I think you should be fine and it is worth it. I will send you an email. Thanks for such a great blog. I just went from Keelung down the east coast to Dawu and then crossed the island to Kaohsiung. Took six days. 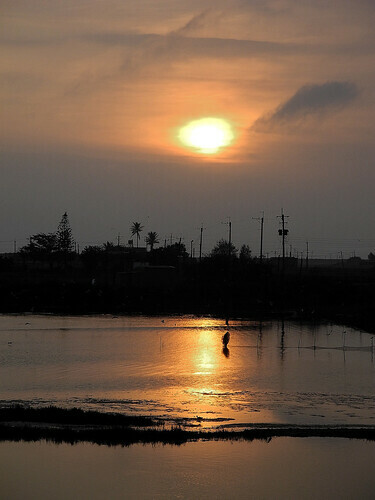 You blogs kept me informed and I think I might have stayed at a couple of the same places. I did it on a road bike and the seat killed me. Also, my necks hurt badly. 10 hours everyday. Either way, I would do it again in a heart beat. I'm glad I didn't ride through the west coast as it's much more populated and hence polluted than the east. Thanks for all the great info here. Hi, we are planning to cycle this coming january. We know that weather is as its coldest that month, but we'll prepare our gears for that. Just wanted to ask if you think it's best to just leave our tents since you said there are always hotels even in smaller towns? What is the price range of the hotels? Is it possible to sleep in temples/schools if we don't find any hotels on the road?